Expertly crafted from sustainable rubber wood with a practical lacquered finish, Ivy is a simply designed dining set with a contemporary twist. The drop leaf table can comfortably seat up to 4 people when fully extended, making it an ideal space saving solution for smaller living spaces day to day. 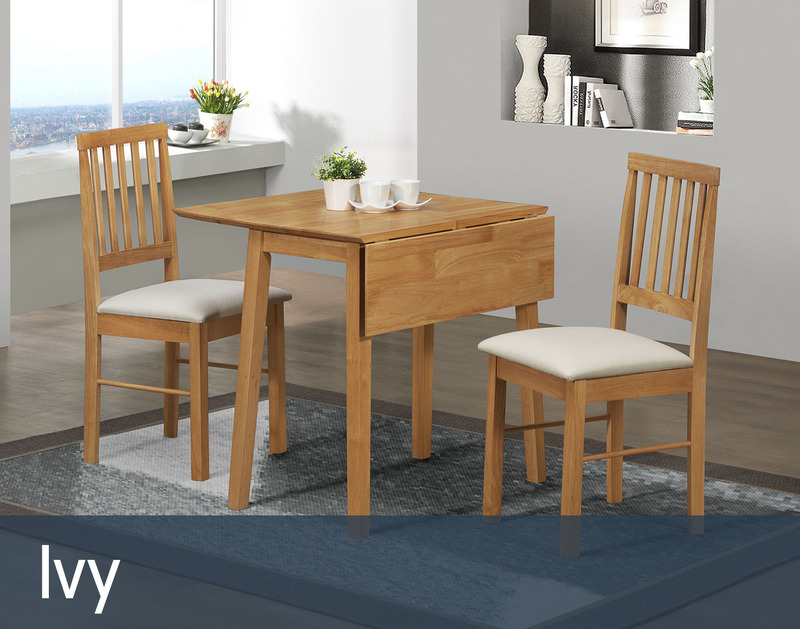 The dining set also features attractive slatted back chairs, with a comfy foam padded seat pad, upholstered in a stylish cream fabric.